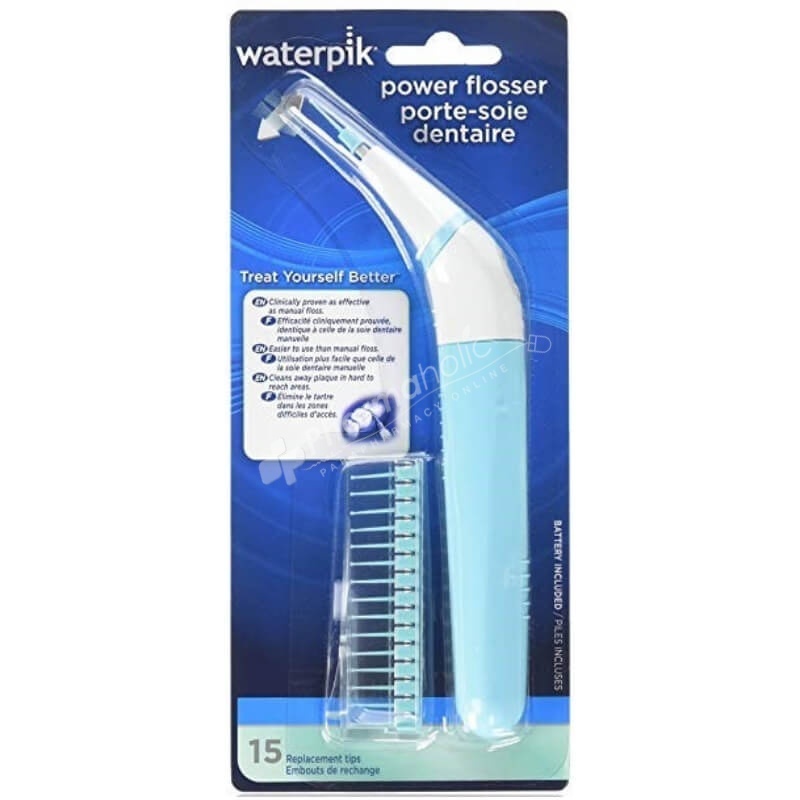 Waterpik Power Flosser is Clinically proven as effective as manual floss, easier to use than manual floss and great for cleaning around braces, crowns, implants and bridgework. 1. Position flossing tip in the space between your teeth and gumline. 2.Simply push ON button and move flossing tip up and down against surface of teeth and below gumline. 1. Remove used tip by inserting tip fully into wide end of slot on tip cartridge and slide flosser handle down to narrow end. Tip will easily release. 2. Insert mounting point fully into one new flossing tip at the top of cartridge until it clicks. 3. Pull handle away from tip cartridge - with new tip attached. 1. Hold tip of flosser and pull down on handle to provide access to battery compartment. 3. Push handle back over battery compartment. Not for use by those with special needs or children under the age of 12 unless supervised by an adult. Keep out of reach of small children.